No matter how many books I have out, I’m always super excited when I have an announcement, but I’ve been particularly looking forward to this one. 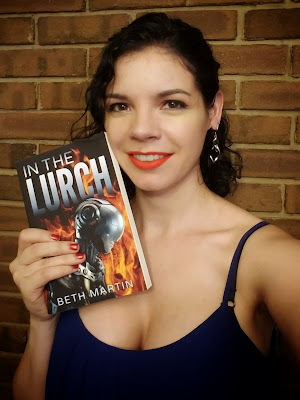 This fall, on November 6th, 2018, I will be releasing my fifth book, In the Lurch. I kicked around the idea of writing a book featuring robots for quite a while but didn’t want to derail the project I was already working on. When November came around, I planned to participate in NaNoWriMo 2017, but more than that, I wanted to win. Instead of continuing a half-written manuscript, I decided to start fresh. Since I was so excited about this story, I easily swept past the 50,000-word goal, finishing the first draft in early December. 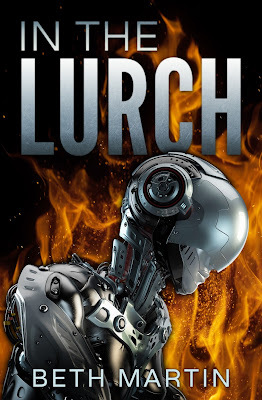 In the Lurch will be the first installment of a new series, and the second one is well underway! If you haven’t already, sign up for my newsletter to get an announcement on release day and to be the first to hear about upcoming books!